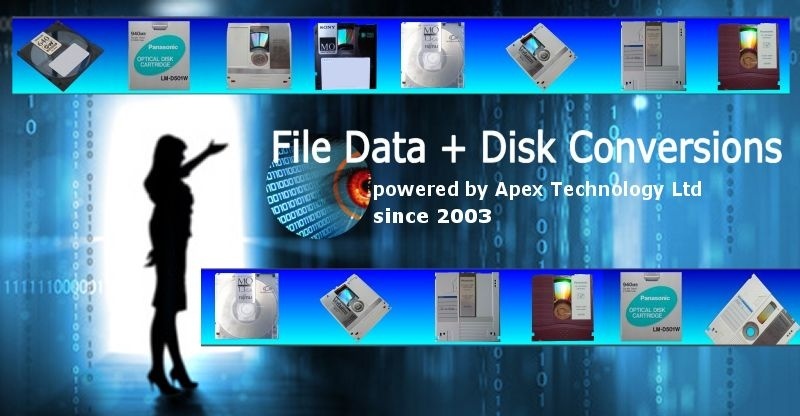 If you need a Disk and File Conversions service, then contact our friendly company. We undertake many unusual, proprietary, old file and disk conversions from systems that no longer have support. Usually the original supplier has gone out of business or have lost the expertise to decode data from the old filesystem. Well we specialise in extracting data from archive systems and converting it so you can access via USB, hard disks, NAS drives etc. IF we are unable to assist directly we may well know someone else who can undertake file migration from your document system, mo disks, and floppy disks .